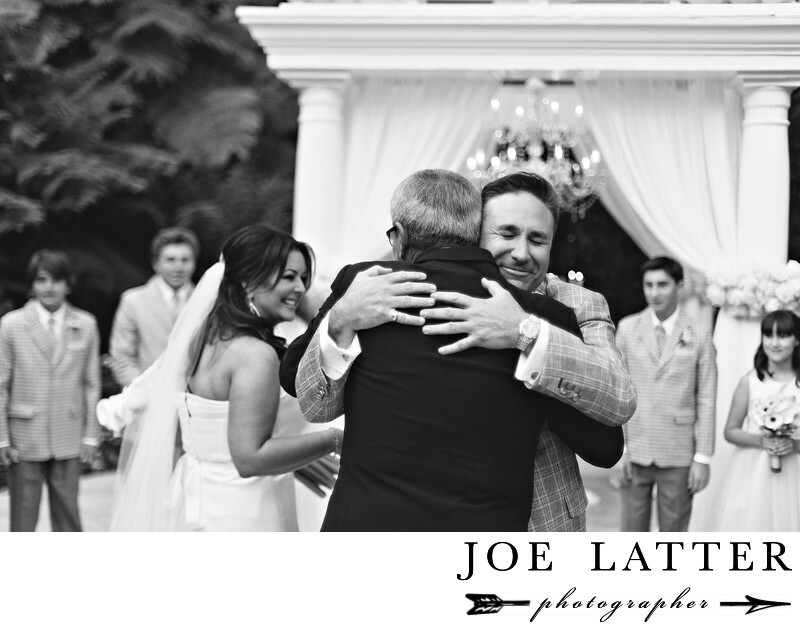 loved this intimate moment as the groom gives his new father-in-law a hug after walking his bride down the aisle. This image was created at the Hotel Bel-Air in Beverly Hills, California. Location: 701 Stone Canyon Rd, Los Angeles, CA 90077.